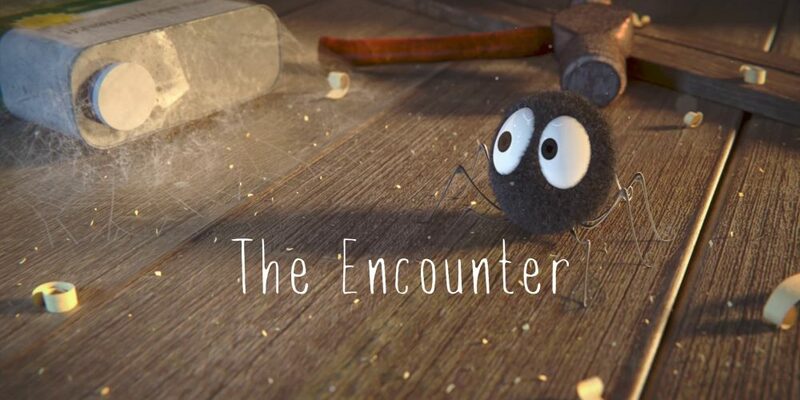 We are pleased to share with the community our (very) animated short called ‘The Encounter’. This short was mainly a general test to validate our pipeline in our newly created studio. It is part of a bigger project, a 3 minutes animated short, currently in production. We will soon post some more info about it in this very blog, stay tuned! The idea behind this very short came from Julien, who wanted to validate the rig he has created for our baby spider and familiarise himself with the animation of our main character. We used this opportunity to test our pipeline, especially the rendering part where we used the free RenderFarm, sheep-it. This very short is currently in competition for the Suzanne Awards that will take place at the end of October in Amsterdam, if you enjoyed it, please take 1 minute to vote for us on this page.